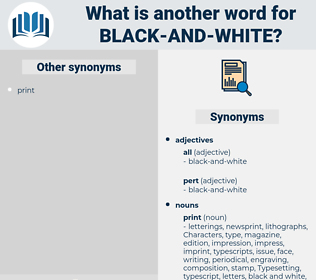 What is another word for black and white? To strike off an impression or impressions of, from type, or from stereotype, electrotype, or engraved plates, or the like; in a wider sense, to do the typesetting, presswork, etc., of ( a book or other publication); as, to print books, newspapers, pictures; to print an edition of a book. 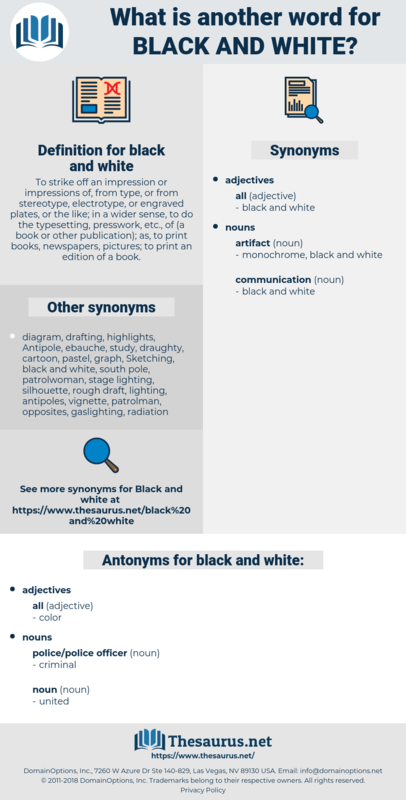 correspondence, reading material, writing, reading, written text, code, prescription, written material, print, codification, piece of writing, transcription. pic, photo, photograph, picture, exposure.